- Configure your PC with industry-standard data drives and devices including a Media Card Reader. Other options for your business include discrete graphics options, wireless networking. - Includes HP ProtectTools™ Security Suite that helps to provide protection for your PC and verifies it does not become a point of vulnerability. HP ProtectTools™ is flexible allowing you to adopt only the modules that meet your security needs. - When your deployments are scheduled over a lengthy period of time it’s good to know you’ll be able to get the same chassis over multiple deployments. Plan for a minimum of 15 months availability for the HP Compaq 8200 Elite Series. 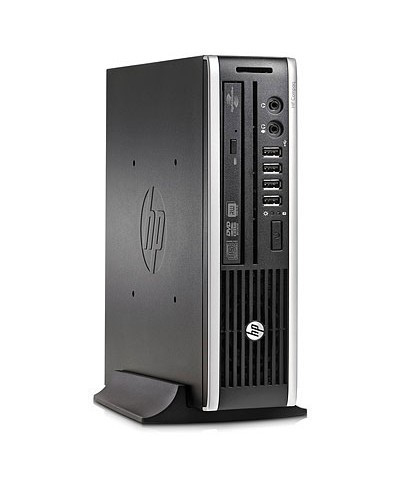 - Protected by HP Services, including standard warranties geared toward corporate uses available. You’ll get fast, responsive support for timely problem resolution with the HP Standard Limited Warranty that provides onsite service.